Mother’s Day is sneaking up on me quickly this year. To get a little inspiration for the 3 moms in my life, I pulled together a smattering of sweet, handmade paper crafts that any mama would swoon over. This woven heart card is pretty special, but it could easily be modified for your mom. Maybe a flower shape or a custom monogram would be more her style? And I’m jazzed over the idea of snipping the extra paper to use as confetti. Makes it extra festive! 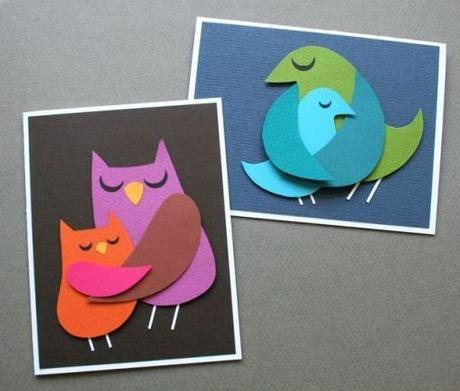 I love these mama and baby bird cards. But change it up and make it your own. You could add mom’s favorite colors to these sweet bird cards or even some extra babies! This is a gift I know my mom would enjoy. She has a thing for birdhouses. But, of course, she’s going to read this, so maybe I’ll wait to spring it on her later in the year. 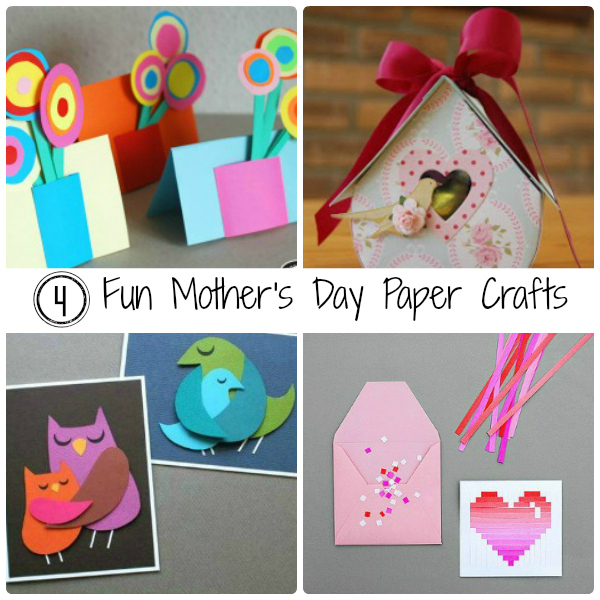 Moms truly cherish a heartfelt gesture on Mother’s Day, so grab some paper and get crafting. But most importantly, let her know how much she means to you this year!